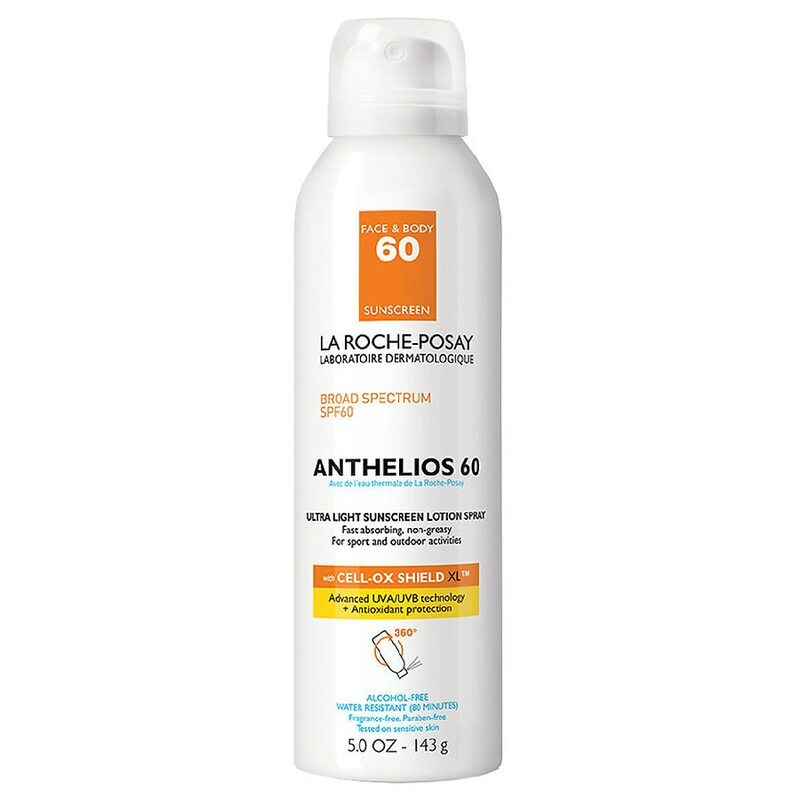 Recommended for sunscreen protection for the face and body, broad spectrum SPF 60. Sunscreen has an ultra-light texture, is fast absorbing, and provides a non-greasy finish. Good for all skin types. Water resistant (80 minutes). Tested on sensitive skin. Recommended by 25,000 dermatologists worldwide, La Roche-Posay offers unique daily skincare developed using a strict formulation charter and stringent clinical testing for efficacy and safety, even on sensitive skin. Made in USA and filled in Canada. Hold container 4 to 6 inches from the skin to apply. Do not spray directly into face. Spray on hands then apply to face. Spray generously and spread evenly by hand 15 minutes before sun exposure. Reapply at least every 2 hours after swimming or sweating. Reapply immediately after towel drying.